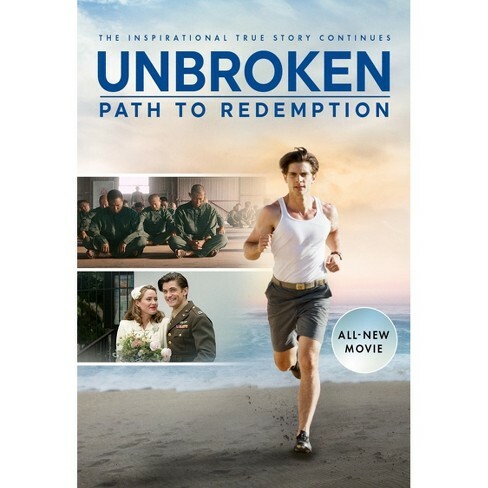 This 2018 feature film begins where the hit movie Unbroken concludes, the next chapter brings the rest of the inspiring true story of American hero, Louis Zamperini. After surviving years of torture as a prisoner of war, Olympic runner Louis returns home from World War II, where he meets and marries Cynthia. Haunted by his past, he is driven deep into despair in search of peace and forgiveness. Based on best-selling author, Laura Hillenbrand's, wildly popular book that was on the New York Times Bestseller list for over 4 years, ABC-TV's Mark Allen says this film is "Breathtaking and unforgettable." Rated PG-13 for thematic elements and related disturbing images and runs 1 hour and 39 minutes. Generally, these passes admit 2 adults and 4 children under 16, but some passes have different allowances. The passes loan to card-holding Dover Free Library patrons 18 years or older in good standing. There is a $20.00 refundable security deposit and a driver's licence or state issued valid photo ID are required. The passes generally loan for a miximum of 2 days, late fees of $5 will apply, replacement costs for lost passes will also apply. The Library cannot reserve the passes for specific dates, but can reserve/hold a pass 24 hours in advance. Please call the Library at 802-348-7488 or email here for more information.